You can find some of my Tasmania images in the portfolio section of this site. You can directly go to the top site side images or to the under water images. 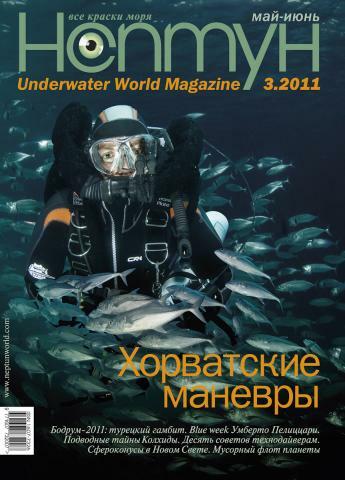 I really like DiveStyle magazine. I would not expect to find a diving magazine like this in Africa at all. Imagine to be a local contributor for the magazine! South Africa offers soo many great dive sites, which are word class in my opinion. Describing local South African dive sites means diving with Sharks and other big animals. You could even describe the Sardine Run as a local activity. I decribe a lot of the cold fresh water lakes for Duikmagazine here in the Netherlands. What a difference compared to South Africa. My Russian friends from Neptune magazine have recently published a story about Croatia that I made last year. I just got some copies of the magazine today. Guess what? They have also used one of my images for the cover of the magazine. I have had more covers if foreign, lets say non-dutch, magazines but I am still very happy when I magazine chooses one of my images to sell their magazine. The croatia trip was a bit special for me because this was the first diving trip where we took our twin girls with us. The Dutch version of this story is all about diving while you are a parent. The story was called: "Rebreathers and Pacifiers". Imagine paking your car with twin 10l tanks, a rebreather, camera's, but also with, diapers, child seats and all other stuff that young babies need. Bringing your kids with a dive trip just means packing more gear. Neptune magazine is using composite images as their cover. The image of my wife, diving with a rEVO rebreather, was merged with a school of fish. I think they did a good job with this. The result could almost be real. I have been diving through schools of fish or haning under schools of fish in Saudi Arabia with my rebreather without chasing the fish away. You could discuss if merging images to create a totally new image for a magazine is ethical, but I say it is. Many magazines, mainly outside the diving industry, use composite cover images. This is not very common with diving magazines. I don’t have any problem with this. A cover is the first thing that potiontial buyers of a magazine see. The cover of a magazine is mainly to let people pick up and buy the magazine. Just be clear about when your images have been composed in Photoshop, its not done to lie about this.